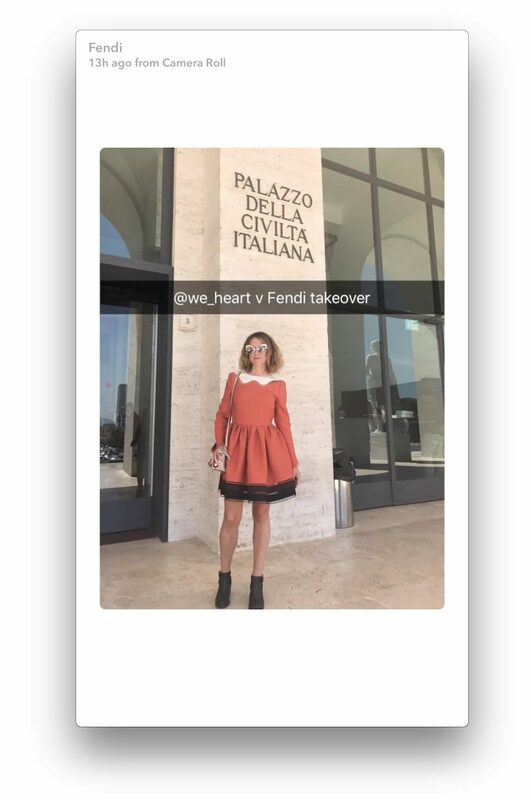 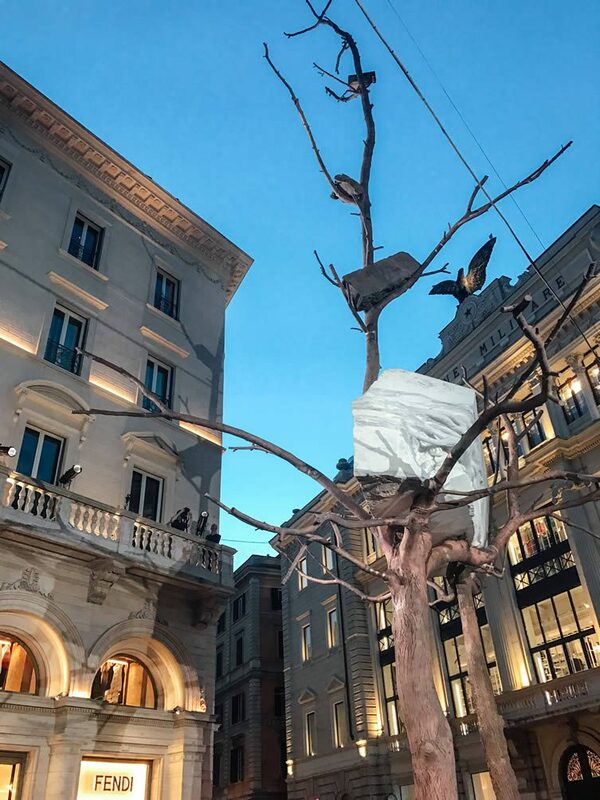 Fendi continue to give back to their home city of Rome, gifting a whimsical new contemporary art commission by Giuseppe Penone that was unveiled at a bewitching ceremony on Monday evening; invited to takeover the haute couture giant’s Snapchat account for the proceedings, we were on hand to watch events unfold. 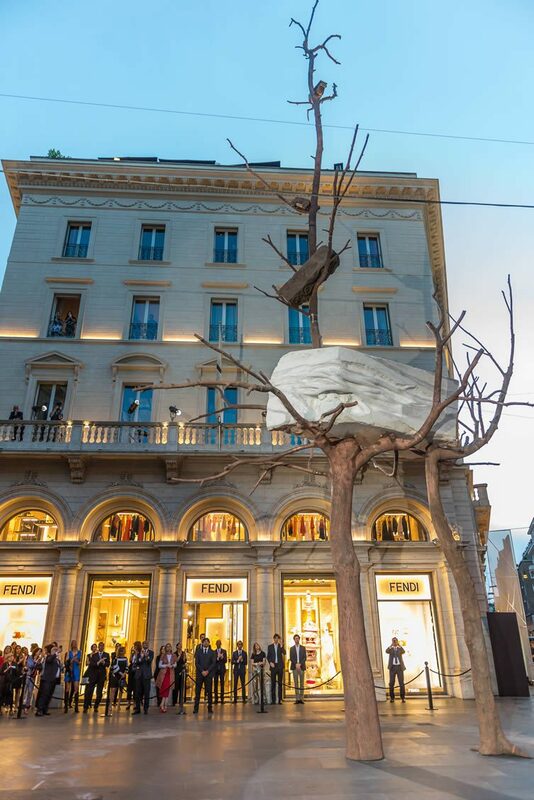 The commission follows on from the restoration of the Trevi Fountain (and five others in the Eternal City), Fendi reaffirming its commitment to Rome’s cultural heritage, installing a site-specific sculpture by the Italian artist that will reside permanently outside the maison’s flagship boutique on Largo Goldoni. 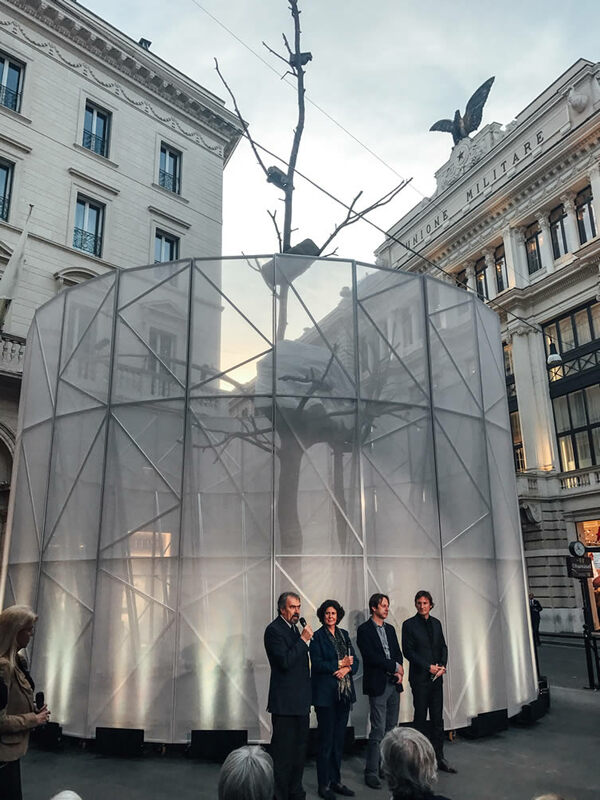 Known for working with unconventional materials and establishing a contact between man and nature, Penone’s piece — Foglie di pietra (Leaves of stone) — is one of the artist’s most complex works to date. 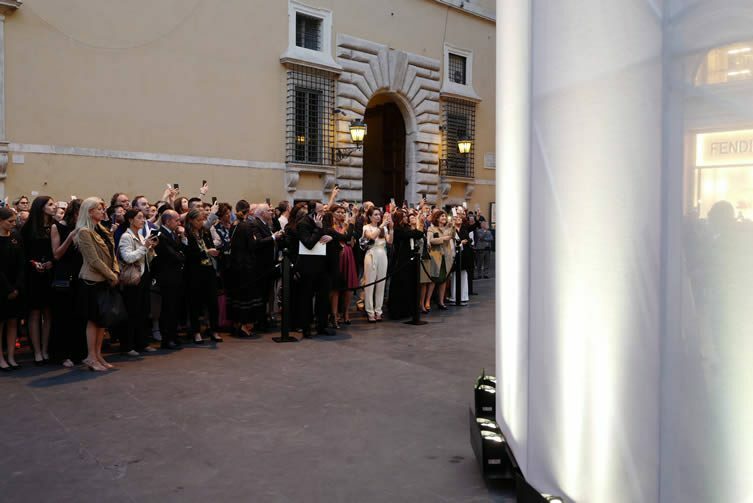 In attendance at a press conference held at the fashion house’s new headquarters at Palazzo della Civiltà Italiana earlier on the day, we listened intently as the youngest member of the Italian movement Arte Povera explained how the problem of limited space had led him to working outdoors. 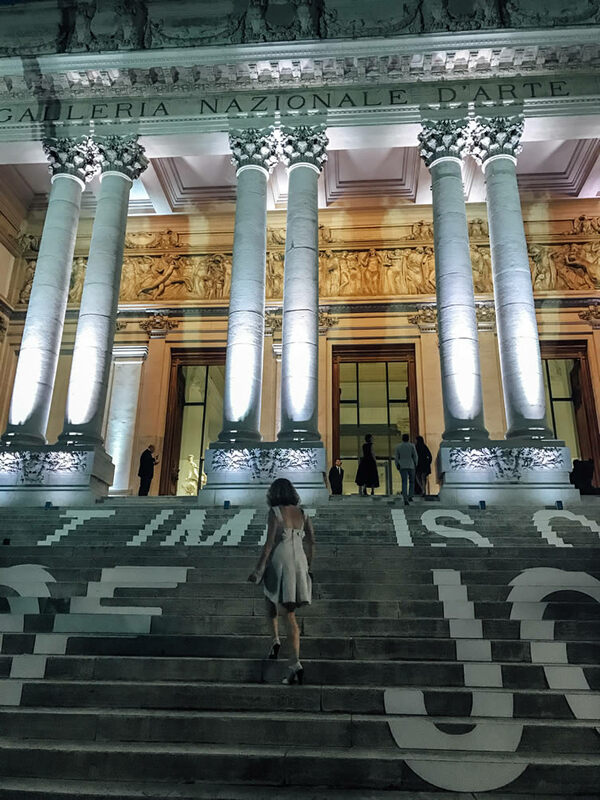 It was this decision that enabled Penone a freedom he hadn’t felt previously. 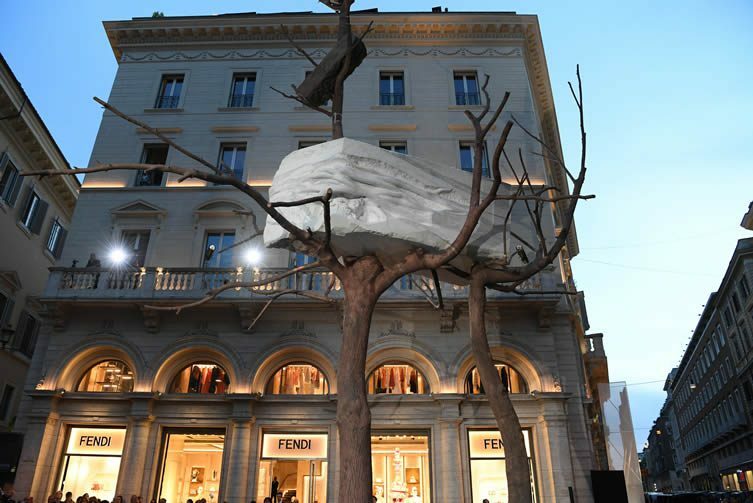 Foglie di pietra is made up of two bronze trees, 18 and nine metres tall respectively, with interlacing branches that lift a sculpted marble block, weighing in at 11 tonnes; a bond between nature and culture fostered, celebrating a deep coalescence between the flow of natural and human time. 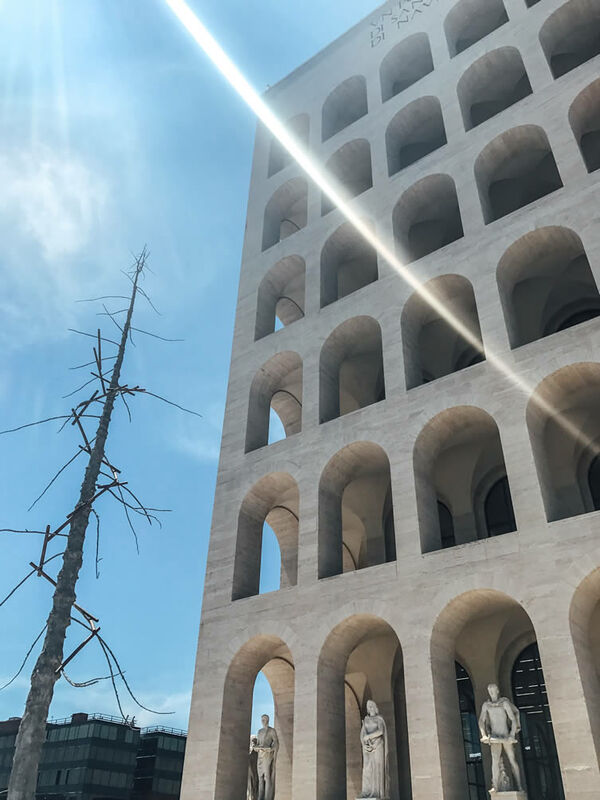 The artwork also muses on a series of interpretations and associations between the various moments of Rome’s overwhelming history, and is the city’s first work of contemporary art to be permanently installed in a public space. 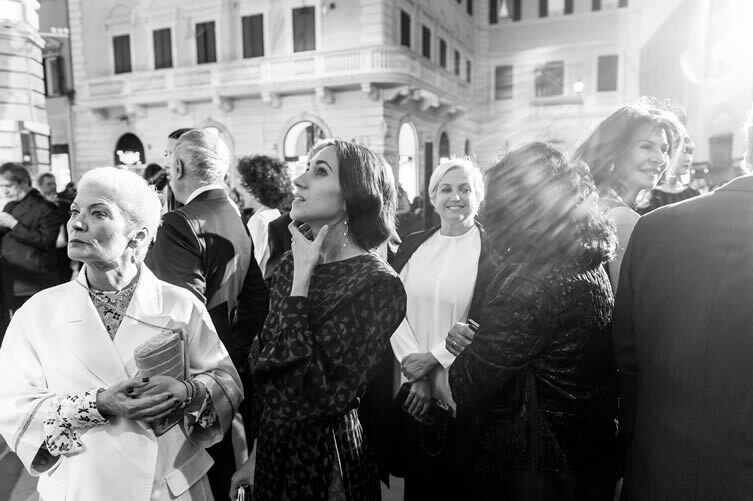 Alongside yours truly, the unveiling was also attended by various members of the Fendi family — including Anna Fendi; Baguette bag designer Silvia Venturini Fendi; and jewellery designer Delfina Delettrez Fendi — as well as the fashion house’s CEO, Pietro Beccari, and his family. 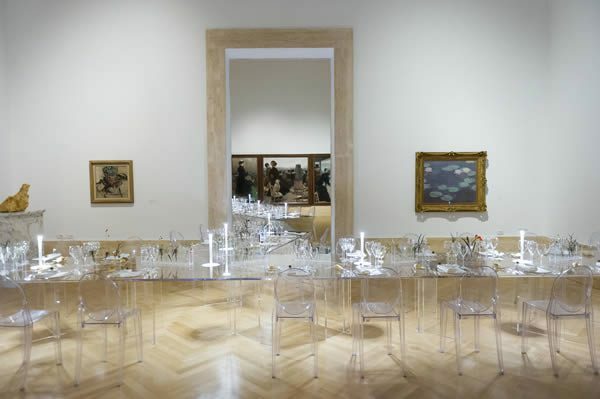 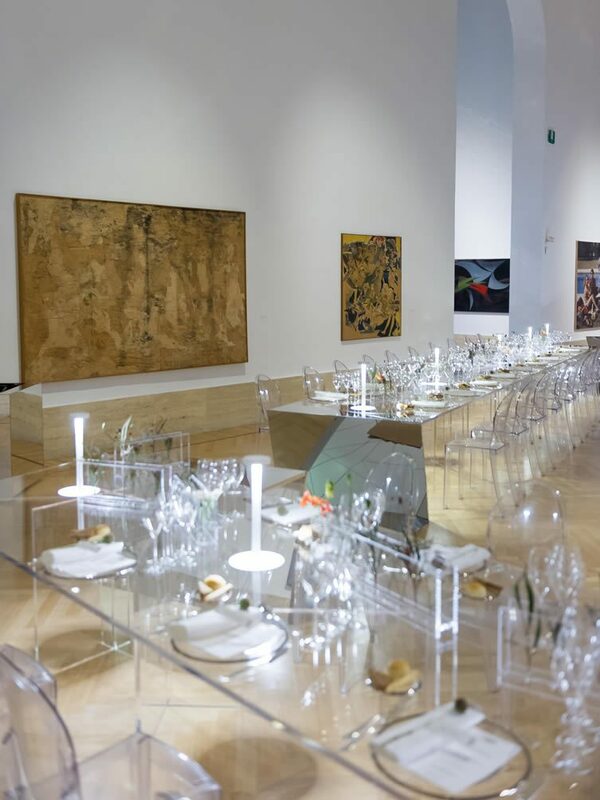 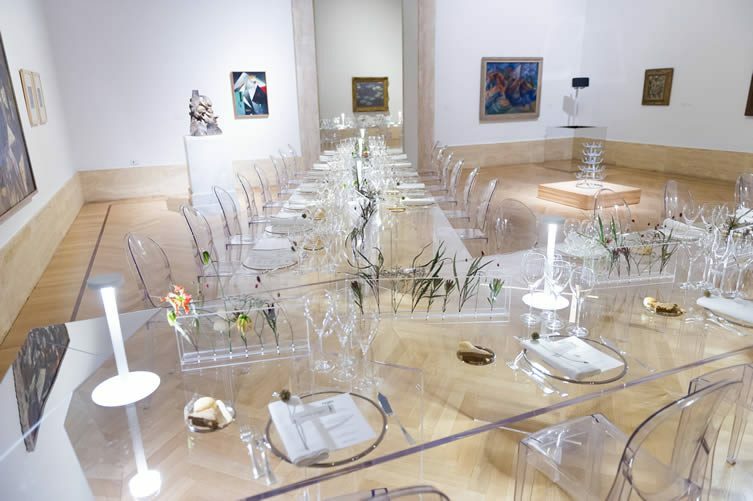 A dinner in honour of the artist was subsequently held at the breathtakingly-beautiful Galleria Nazionale d’Arte Moderna; the first time the gallery had been used for an event like this, the venue made for an utterly unforgettable meal. 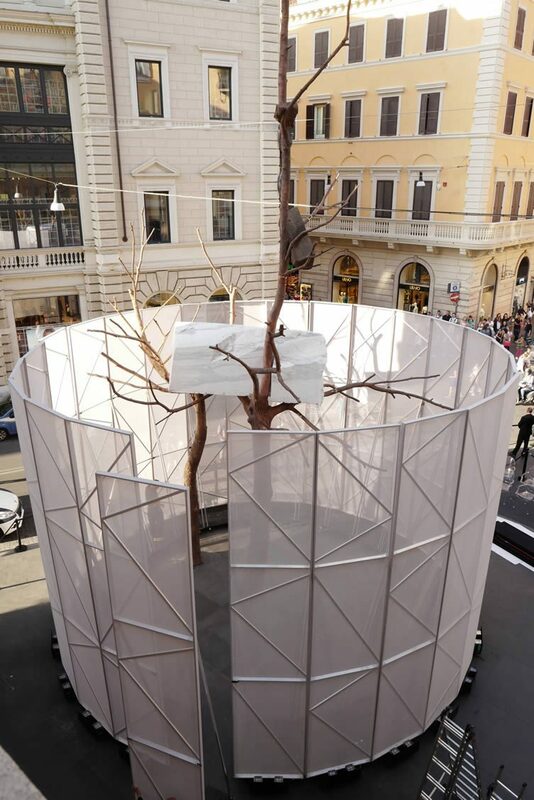 Penone’s exhibition, Matrice, is hosted at the Palazzo della Civiltà Italiana HQ and open to the public until 16 July. 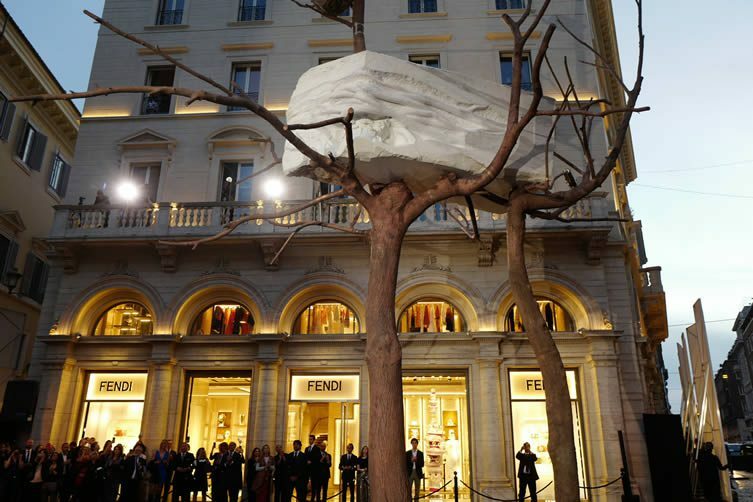 Foglie di pietra is a permanent installation situated in Rome’s Largo Goldoni. 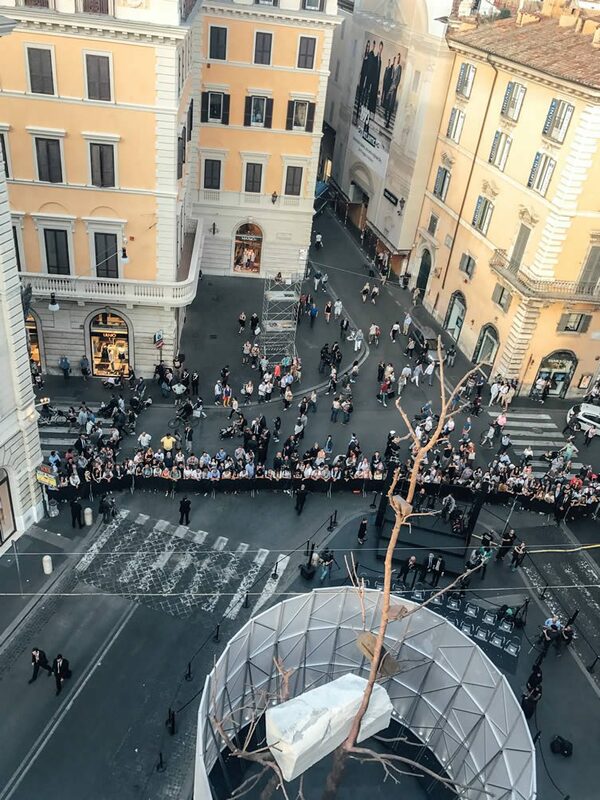 View from restaurant Zuma, which occupies the top floor of Palazzo Fendi, as crowds gather for the unveiling.